How do I use the Calgary Public Library? The first branch of the Calgary Public Library (CPL) opened in 1912, making the CPL over 100 years old. It has come a long way since then. The CPL is constantly growing to allow Calgarians of all backgrounds to use its services. Being a member of the CPL gives you access to a huge number of books, resources, services, and programs. With so many perks available, we took it upon ourselves to provide you with a snapshot of what the CPL does. 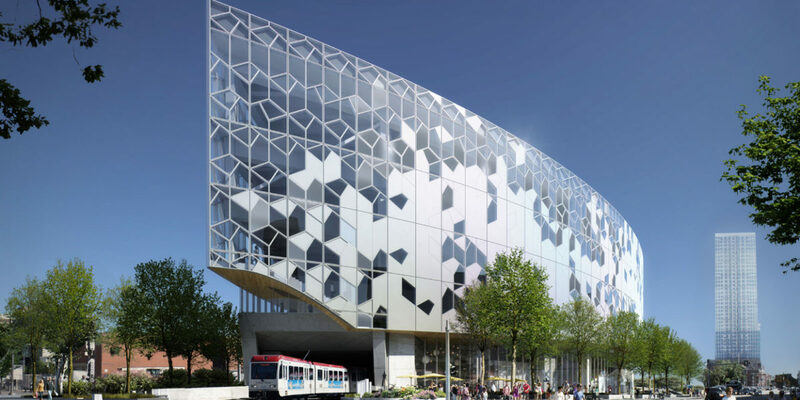 Keep reading this article to find out how to use the Calgary Public Library. When you hear the word library, you probably think “books”. And you should! As you can see from hitting the “Explore” button on their website, the Calgary Public Library has content for all readers. There are a ton of books available in the form of print, electronic, and audio as well as magazines and newspapers, encyclopedias, dictionaries, and academic journals. In addition to its large selection, the CPL has an A-Z resources list for children and teens. Calgarians with disabilities will be happy to know that the Calgary Public Library offers a number of special services and resources in accessible formats. More information about CPL accessibility can be found here. Lastly, the CPL hosts a number of programs that are free to register for if you have a library card. Each season there are more than 90 different programs running all over Calgary, meaning you’re sure to find something for every member of your family. There are programs available for people of all ages and backgrounds. They range from book groups and dance classes to walking tours and guitar lessons. For full information and to register, click here. As the last section implied, there’s more to the Calgary Public Library than just books. In addition to the latest technology, the CPL has a massive E-Library. Here, a number of online resources are brought together and made fully accessible through the use of a library card. If you’re interested in a specific subject, you only need to click “View All” in the “Areas of Interest” box on the E-library page. The CPL has worked hard to make itself a place of learning and research. Children up to the age of 5 can use Early Learning Centres to talk, sing, read, write, and play. These five skills are the foundation of early literacy. Having a library card also gives you access to online courses and learning tools. Not a big fan of books? Don’t worry, you can still get a ton of use out of your card. As the entertainment section shows, the CPL allows you to stream and download movies, music, TV shows, and more. If you’re into music you’ll be happy to know that musical instruments can be borrowed from the Memorial Park Library. Low income families can receive a Sun Life Financial Arts + Culture Pass, which gives free event tickets and admission passes. You might wonder how to get your own card. It’s easy! To get a Calgary Public Library card you just have to register online or visit one of the many Calgary Public Library branches around the city. Click the link above to find out more. Additionally, getting a library card is 100% FREE, and may of the library’s services are free as well. Once you have a card, using it is easy. You can borrow up to 99 items and keep them for up to 3 weeks. Borrowing, holding, and renewing items can all be done in person or online. For more information, click here. With so much going on, the CPL is always looking for volunteers to help out with their programs. Applying to volunteer is a great way to build experience and get involved with the community. To find out about what’s available, click here. For a full list of the libraries below, including their hours and special collections, visit this link.